Finding the Fun in Jinqiao — CitizenC. Jinqiao is the home to numerous international students on account of at least two prominent schools. A perceived lack of entertainment, however, has caused students to travel more frequently out to Lu Jia Zui, Xin Tian Di, even Puxi, to catch a glimpse of Shanghai at its finest. 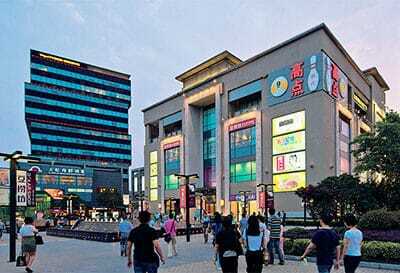 Consultation with local experts reveals that, despite the perception, there are definitely some hidden gems around Jinqiao. Through a survey of high school students who explore our neighbourhood on a regular basis, advice has been gathered concerning the top places for scenic views/photography, places to eat, and other recommendations. Not to limit our advisors to solely Concordia voices, we decided to consult our favourite frenemies, Dulwich International School Shanghai, their opinions as well. Pros: If you pick the right location, you should be able to get a view overlooking of the entire Jinqiao. Tip! If you want to take cute candid pictures as well, it is better to wait until golden hour or at night. Just as the name states, golden hour casts a warm hue over our fair city and those shooting selfies, conveying a tan look. The entire Jinqiao lights up at night where you can experiment with time lapse photos. Wearing white or clothing with reflective material is strongly recommended to give your outfit more “oomph” when you use flash. Cons: There can be a risk of getting in trouble with the guards if the rooftop is restricted to outsiders. Even if you are a resident, always make sure to get permission and do some research on the compound before embarking on your photography adventure! Additionally, be careful of the wind! It can act as a double edged sword in photos; you either end up with a beautiful Pocahontas-esque shot or you could end up with a mouthful of hair! Pros: The well-known dog park is famous amongst local basketball players and senior citizens. There is a huge field where you can take cute group photos with your friends, too. It’s great for experimenting with action shots or crazy stuff if your group is prone to to messing around. Cons: If you’re allergic to fur, I don’t recommend this place. Many dog owners bring their pets here for their daily walk. Also, a lot of owners also don’t pick up after their dogs so watch where you step! A small shop that opened up not too long ago, CHICHI SUSHI is run by two fathers (now by their sons and daughter as well), as the Chinese name implies. With an authentic Japanese menu, the shop suddenly blew up amongst both international students and locals. Because of the small area, it can get extremely cramped during lunch hours. Hence, I recommend take-out instead of eating there during lunch or dinner. However, eating there is definitely a great experience, especially if you manage to snag a seat by the entertaining sushi bar. With its popular dishes such as the Grilled Chicken Cheese Burger, Camarao A Paulista, and Australian Beef Skirt, Latina (located in the Golden Bridge Shopping Mall) truly has its food cooked and sliced to perfection to ensure the very best taste and freshness. Providing dozens of choices of beef, pork, and seafood, Latina serves numerous award-winning cuisines. With great ambiance, Latina is definitely a place you would want to come with a large group of friends if you’re up to eat as much as you want for a reasonable price. 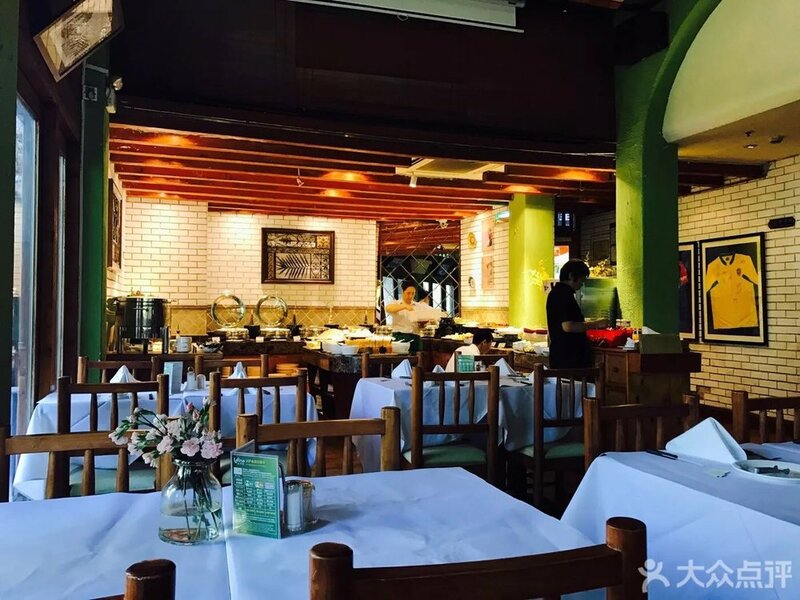 A perennial expat favorite for Italians, Da Marco on Bi Yun Road is surprisingly inexpensive for a somewhat fancy restaurant. With beautiful ambiance, it is a great place for dinner with a group of friends or a place to impress a date. The menu is mostly pizza and pasta with more ambitious mains such as risotto and meat dishes. Be prepared to linger, however, as food does take a while to come out of the kitchen - especially when the place is packed full of customers during dinner. With a menu brimming with creative takes on tea, HeyJuice! takes pride in its Instagrammable drinks and location. Their drink list ranges from milk tea with frothy cheese caps to matcha lattes with coconut boba balls. The location is a modern minimalist concrete setting with tea-related slogans spun in neon. Nearly everyone in our survey would recommend HeyJuice! for unique boba drinkers and Instagram foodies! When surveying Dulwich students, it was surprising how their choices never seemed to overlap with those of Concordia. They mainly listed places where they could get the best photography shots and listed the importance of the location by Instagrammability. Pros: With the perfect background with a river accompanied by the climbing vines on the pergola, this area really creates the natural candid photos. With props such as smoke bombs or fairy lights, you can be creative with the black space in order to create really cute close ups. It’s easy to find at 225 Hong Feng Road. Cons: This is quite a popular spot for photos and because of the limited amount of space, you might accidentally catch people in the background of your photos. Although you can just blur them out with the trusty PicsArt app, it has the potential to be a frustrating photo spot. Advice would be to take photos during the afternoon, when there are less people. Night photography can wait for weekdays. Pros: Following down a winding dirt path, it opens up to a huge garden area surrounded by lush trees. If you’re lucky enough, you might be able to catch a glimpse of the two sakura trees blossoming. A background of fluttering flower petals make for the perfect setting for candid shots and scenic pictures. Cons: The close proximity of the buildings means that one must be mindful of a group’s volume level in order to refrain from disturbing the residents. Hence, it is not the best place to go if you and your pals tend to be rowdy during your impromptu photoshoot. Tucked away in a small corner behind Carrefour, Ajisen Noodles needs a bit of hunting to find it. With a wide variety of noodles and a plethora of side dishes, one is able eat their fill with their inexpensive lunch sets. The restaurant ambiance is very tranquil, and it never seems to be too cramped even during lunch hours. Tip: Always get something from the set menu, plus Ajisen gives you the choice of changing up your drink. Overshadowed by Pistolera, Pete’s Tex-Mex deserves some recognition for its delicious Mexican dishes. With a much more authentic menu, Pete’s also has a much cheaper price range when compared to Pistolera. The restaurant is conveniently located in the Golden Bridge Shopping Mall. It is decorated nicely, with mosaic patterned lamps and tables. They also host events during the annual soccer matches, with two huge flat screen TVs plastered on opposite sides of the room. A great place to go with friends for a heart- (and stomach-) warming meal. Life Hub is a one-stop destination that fulfills all your shopping, dining, and entertainment needs. Not really far away, this Yan Cheng Road complex bills itself as “a mall within a park, and a park within a mall,” Life Hub goes all out with their open-space design, providing viewers with a relaxing alternative to Shanghai’s traditional shopping centers. Home to a huge arcade brimming with dancing, shooting, basketball, and claw machine games, it is the ideal spot to enjoy a day with friends or venting out all your anger on APs. If a crowded places isn’t your forte, take a quick trip down to the basement, where a huge variety of boutiques lay before you. Rumours are circulating that a Dippin’ Dots just opened there, so go check it out! Ashley T. is a student of Applied Journalism at Concordia International School Shanghai. She has a passion for fun, fashion… and Starbucks.